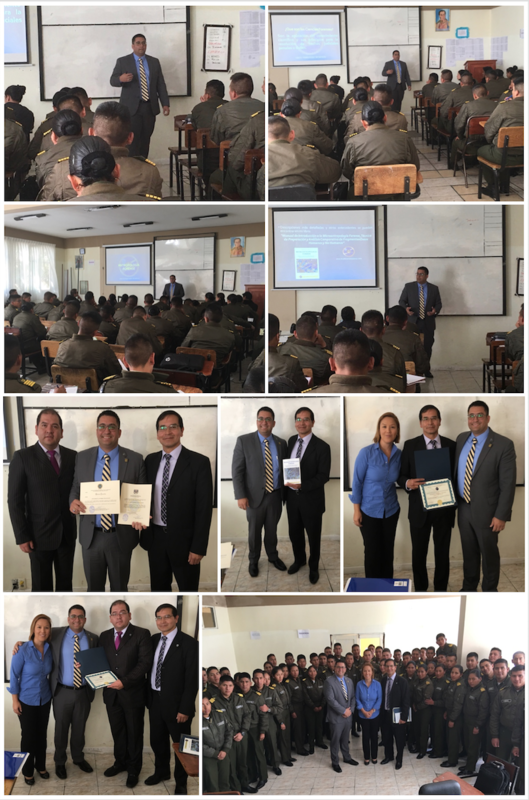 In March 27th, 2018 True Forensic Science’s Science Director & Instructor, Mr. Carlos A. Gutierrez, was invited to the Bolivian National Police Academy (La Paz, Bolivia) to offer a Seminar for their cadets. The Seminar named “Forensic Sciences & Forensic Microanthropology “, was attended by more than 60 people, who learned about: Updates of Forensic Sciences, Importance of Forensic Microanthropology as a presumptive tool for human identification, and Importance of Continuing Education & Training for Forensic Experts. Near to the end of this activity, the Director of the “Institute of Technical-Scientific Investigations of the Police University” (IITCUP; in its Spanish acronym), Tcnl. DEAP. Juan Peña Rojas, awarded and decorated Mr. Gutierrez for his remarkable professional trajectory not only as retired Capitan from the Chilean National Police (Carabineros de Chile), but also for his outstanding career as Forensic Scientist and all his contributions to the improvement of Forensic Sciences throughout Latin America. Additionally, during this event, Mr. Gutierrez took the opportunity to gift the “Institute of Technical-Scientific Investigations of the Police University” a hardcopy of his book “Manual de Introducción a la Microantropología Forense: Técnica de Preparación y Análisis Comparativo de Fragmentos Óseos Humanos y No Humanos”. The book will be added to the IITCUP Library’s list of study books to be available for cadets to deepen their knowledge about this new study area of Forensic Sciences.